Want to get more out of your Scan N Cut? Pair it with your computer! Go beyond the basic projects into more complicated ones. We will set up more complex projects on the computer and then make them in class. Bring your laptop with Craft N Cut & Canvas installed as well as your cutter to class. Contact the instructor before the class if you are new at abby@pinsandneedles.com. February project is turning a coloring book page into a tote bag. 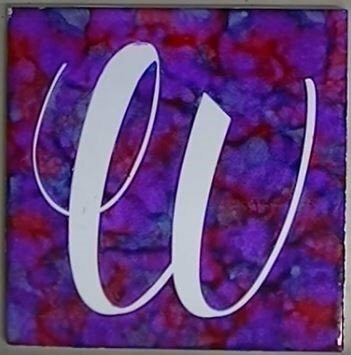 April project is a set of custom alcohol ink coasters.